Today we were talking about the upcoming Nubia Z18, which had been leaked on an AnTuTu screenshot showing 280.085 points. This is the highest score we have ever seen and it exceeds the current flagships. Previously, the OnePlus smartphones have been considered to come with the best software optimization. That’s why they always ranked the first. But the upcoming model has been leaked on a screenshot showing 276.510 points. Anyway, they have to come yet. So what about the current flagships that are available for purchase? Today, AnTuTu released the performance list for April 2018. 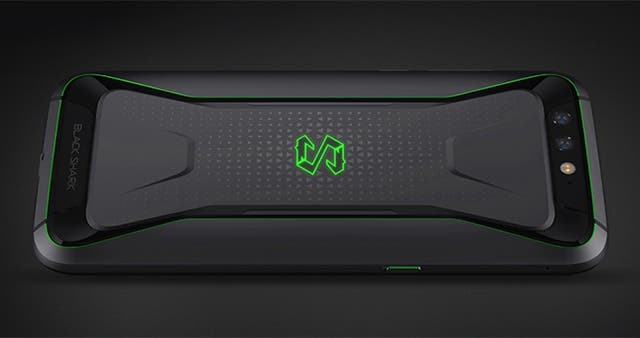 According to it, the Xiaomi Black Shark scores the highest points. 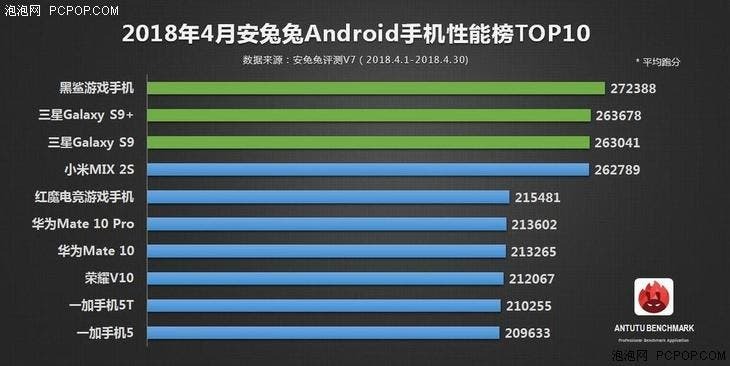 As we can see, the toppest model in terms of performance is the Xiaomi Black Shark that reached 272.388 points in AnTuTu. It is packed with a Snapdragon 845 chip, and the higher version also comes with an 8GB of RAM. This handset is followed by the Samsung Galaxy S9+, which is powered by the same chip. But this phone scores 263.678 points only. Its ordinary variant is in the third position with 263.041 points. Though the Xiaomi Mi MIX 2S doesn’t enter the top three, it showcases quite respectable results. According to the AnTuTu list, this phone scores 262.789 that yields the S9 a little. As a reminder, the Mi MIX 2S is equipped with a Snapdragon 845 SoC as well. 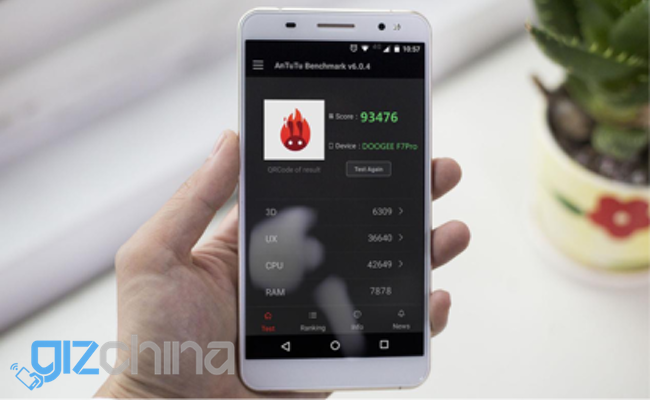 Finally, the Nubia Red Dev gaming smartphone is ranked the fifth with 215.481. But it sports a previous-gen Snapdragon 835. So its result is quite expected. The next three phones come our way from Huawei. The Huawei Mate 10 Pro, Mate 10, and Honor V10 are packed with a Kirin 970 chip. These results prove Huawei’s high-end chip is the only rival to the Qualcomm flagship chips.